My Kindle Countdown Deal is now live from 12:00AM March 01 to 12:00AM March 08 (GMT & PST). 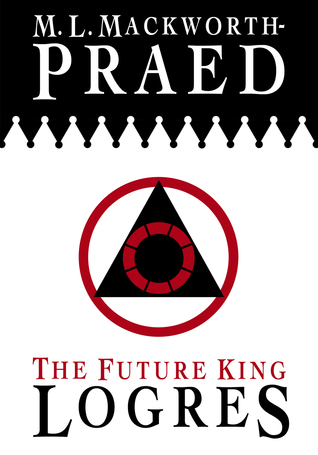 Pick up your ebook edition of The Future King: Logres on Kindle now for £0.99 and $0.99! This deal runs for 7 days and is available to Amazon UK & US customers only. Just follow the relevant link to purchase your discounted ebook before time runs out! My Kindle Countdown Deal is now live from 12:00AM December 05 to 12:00AM December 12 (GMT & PST). Pick up your ebook edition of The Future King: Logres on Kindle now for £0.99 and $0.99! This deal runs for 7 days is available to Amazon UK & US customers only. Just follow the relevant link to purchase your discounted ebook before time runs out! My Goodreads Giveaway is now live. Click here to enter for your chance to win a signed paperback edition of The Future King: Logres. This giveaway runs from October 07 2017 – January 05 2018 and is open to entrants worldwide. There is one signed paperback up for grabs. The winner will be randomly selected by Goodreads once the giveaway has ended. Don’t forget to share and enter, and good luck! To mark the two year anniversary of the release of The Future King: Logres I’m running a Kindle Countdown Deal from 12:00AM December 05 to 12:00AM December 12 (GMT & PST) where you can pick up a copy of The Future King: Logres on Kindle for £0.99 and $0.99. It’s that time again! From October 07 I’ll be running a Goodreads Giveaway where you can enter a raffle to win a signed paperback edition of The Future King: Logres. When is it? October 07 2017 – January 05 2018. Just follow this link once the Goodreads Giveaway is live. Don’t forget to enter from October 07 – and good luck! Success! It’s working! Or at least, it feels as if it is working as I finish writing for the day and head to the homepage to update my ‘live word counter’. It’s not really live – to actually do that would require some sort of link between my website (the inter-web) and my 2009 version of Word – and that terrifies me. Anyway, now that my word counter has evolved into a ‘live word chopper’ it is safe to say I am making some progress. Slow progress; mind you. At the moment I’m squeezing 238,722 words to fewer than 130,000 so I can stuff in all the scenes needed for the narrative to form some semblance of novel. My method requires it: I pour it all in, everything – all the brain-mess and the overused words like looked, interjected, exclaimed, gazed, shifted – it’s all about the body language in my first draft. Then, horrified by my bloated document, I force a temporary end so I can throw most of it away. The parts where I get to bin whole pages are the most satisfying: away you go, small talk, here’s some plot advancement instead. These alterations to conversation, timing and place get me thinking about the nature of real life – does free will exist, or are we bound to some plot arc with small details that may change, but that never ultimately affect our final destination? You can tell I’ve been watching too much Doctor Who. Every evening, storming through time and space with the Doctor in the TARDIS – when episodes are watched in close succession the disruption the Doctor inflicts upon his companions seems darker than before. Comparing the series I would definitely rather travel with Tennant or Smith – so far all of Capaldi’s companions seem to have ended up highlight for spoiler>indisposed<highlight for spoiler. Despite my many distractions I am confident I will get a decent first draft done by the end of the summer, which will (with a lot of hard work) set me on course for publication in 2018. Hopefully. I announced it on Twitter so it has to happen. I’ll show you the cover as soon as it’s ready – it incorporates the New Moral eye-cross in a way that is quite sleek. Anyway, plans for this year: still many. My Resolutions To Do list has birthed two more: To Do This Week and To Do In The Flat. As you can tell from Twitter I’m following UK politics closely – the offer from the EU guaranteeing citizen’s rights seemed fair: it would have guaranteed (for life) freedom of movement for those that have already used it. Whilst too many would still miss out, at least those who rely on freedom of movement would have their roaming protected in future. Of course the UK came back with the suggestion of fewer rights in Britain for EU nationals (and one can assume also for Brits abroad). Given that so far during my adult life I’ve had to move every two years, the default ‘five-year residency equals potential long-term residency rights’ wouldn’t work for me. I estimate this will be a significant problem in my future. I opened up Word to do some editing and I wrote a blog post instead. Details. Keep watching the homepage for updates on the ‘live word chopper’ – and if you haven’t read the first instalment to The Future King yet, where have you been? Pick up your copy here. I learned this one the hard way. Hopefully by sharing my experience I will spare a few indie authors the sting of the keen reviewer – you know, the Goodreads reviewer who has some sort of ranking, a blog, and seems to get an awful lot of novels for free; the reviewer who messages you and asks if they could pretty please have a free copy of your book in exchange for an honest review. Some want PDF formats only (my e-reader is broken, so I’m having to use my computer), others insist on paperback (my computer is broken, I can only accept paperback), and the ones that will accept .mobi or .epub just, somehow, never get round to reading it (my life is so busy right now, I just can’t cope with all these novels I’ve requested). Despite any reservations about dishing out your novel for free (and not only that, but in the case of paperback, paying for it), it’s impossible not to consider the what-ifs of sending out your novel to unknowns because, if they do review it, it will hopefully generate book sales. There may be the added risk of the reviewer disliking your novel and slating it (or worse, leaving you with a DNF), but that’s the part of the deal referred to as ‘honest’. The latest obstacle is Amazon’s updated Terms of Service – Authors can no longer send out their book for free with the agreement of a review, only with the possibility of one (they can’t demand, or expect, or request it: only hope). I gave away copies of my novel before these ToS came into force, and have yet to actually see a review from a reviewer who requested to review my book. At first I only sent out .epubs and .mobis, refusing to distribute PDFs. Anyone with a phone or a computer can read PDF, and if the only version you have is the one you formatted to print, you’d be giving them free rein to print and sell your own novel for you. Ebook files feel more controlled, excluding when it appears in a ripped version, helpfully created by the people who make their living converting self-published ebooks into PDFs for distribution around pirating websites (side note: society demands to be constantly entertained yet bemoans actually paying authors, artists, writers, directors and musicians fairly for it). The ebooks went out to two or three people early last year, and I’m still waiting for the promised reviews a year later. Not yet stung by the above agreements involving ebooks, and still believing the reviews would materialise in time, I sent out a couple of paperbacks. I’ve come to admire the cheek of the emails essentially declaring that the person can’t be bothered to pay for your book themselves, but that they would like to read a hard copy, and can you please send it to them posthaste. Usually accompanied by the excuse of a broken e-reader, a few do have the honesty to admit to just preferring paperbacks. Telling them a paperback is currently impossible due to lack of funds, I offer an ebook instead – but no – they brightly insist they are happy to wait until I have more money. After a bit of research to determine that, yes, they did have a reviewing blog, and yes, they were regular reviewers on Goodreads, I decided I was willing to shoulder the cost for the promise of a few more reviews, and sent them the paperbacks. The reviewers received their paperbacks last year. If a review doesn’t materialise within the first six months the whole process feels like a waste of money – yes, the review may happen eventually, but once you approach the one year mark the reviewers could have arguably just bought the book themselves. One particular reviewer sent me an email telling me there would be an extra charge to pay if I wanted my book read within a year. They had received my novel a few days before, and were just too busy to read all the books they had requested. I wasn’t the only author stung by this – several complaints appeared on Goodreads from other affected authors. Not only was this reviewer essentially ransoming books for money, they were suddenly declaring themselves a paid reviewer (which is against Amazon and Goodreads’ terms of service), so if a review did materialise there was a very real possibility that Amazon and Goodreads would assume I had paid for the service (I hadn’t), and that I might then be banned. Three months pass, then six, then nine. Ever hopeful that a review may still appear, you send polite emails prompting for updates, only to be met with radio silence. The ones that do get back to you seem to all be reading off the same script – this year has been manic – I’ve been unwell – your book is next on my review pile – I started reading it but something came up – I’m hoping to get back into it soon. Reasonable excuses, if given the once. Less so, and less believable once given again, and again, and again. These reviewers need to be aware that when they are asking for a free paperback, most writers probably can’t afford it to send them one, even if they agree to send it anyway. Margins will already be minimal, if there are any profits at all. Just because a book is published does not mean that it is selling, and just because a book is selling does not mean it is profitable. If the reviewer receives the free book as discussed but then doesn’t produce the honest review in return, as discussed and agreed, it is essentially stealing. Of course this doesn’t apply to the legitimate reviewers on Goodreads, of which there are many. I’ve sent paperbacks to several reviewers who were gracious, kind, prompt and considerate – all of which I, or a friend, approached. If someone approaches you, however, and asks to review your book in exchange for a ‘free’ copy, my advice would be not to do it. It may be tempting, but my experience so far shows me that the review will never materialise. If they’re trying to build their portfolio as a reviewer there’s no reason why they can’t start with free books in promotions, offers from Kindle Unlimited or even just purchase the novels themselves. If you’re one of the reviewers I sent a free copy to and you happen to read this – I’m still waiting hoping. Advertising works, even when you are not getting clicks. Spend sixty dollars on a Goodreads campaign and play with the text every now and then to test the traction. Link straight to your retailer page – you want people be directed to where they can buy your book. If they click, the fund goes down. If they don’t, they’re seeing the cover of your novel, even if they’re not directly looking at it. Thousands of people will see your book advertisement each month. Never underestimate the power of the familiar subconscious. Get on Goodreads. Without Goodreads my novel would be sitting sadly on Amazon, all alone, with two or three reviews. Granted, it only has six now but lots of people are seeing it through my regular giveaways and over 1,400 people have added it to their ‘to read’ list. That means something, right? With reference to the above, run regular giveaways. Just list one copy of your book, make the eligibility worldwide and let it run for a couple of months. Then when a winner is chosen put the next one up. It’s not exactly free advertising but it’s pretty cheap advertising – your book is being continuously advertised in the giveaway section. People’s friends will see when they enter thus spreading the word. Tweet! I do not Tweet nearly enough, but I try. If you’re doing giveaways or Kindle Countdown Deals let the users of social media know. Make a Facebook event, mention it in blogs, email group organisers on Goodreads and (responsibly) ‘spam’ the relevant folders in the forums. Just let readers know what’s happening, when; and share your excitement about your book as often as you can. It seems to be the thing for authors to follow five thousand people on Twitter in order to get five thousand people to follow them back. Except at some point they start to unfollow those five thousand people to make themselves look established. If they’re all doing it, it probably works, but it’s entirely false. Mostly they’re all just DMing each other asking one another to read their currently free book (yes, I know they’re probably selling more novels than me). Time is money, money is time. Do you have the money to splurge £500 on your latest advertising campaign? Can you pay for verified reviews from top reviewing/endorsement agencies? No? Do you have 36 hours a day to make the posters and find the reviewers/endorsers yourself? No? Do you have the money to get someone else to do it all for you instead? Promotion is time consuming and time spent not writing, but it works. 17 ratings on Goodreads may seem a low amount to most authors (shh, I’m going somewhere with this), but there are plenty of self-published (and agency-published) books out there that go their whole first year without. one. single. review. Oh, the horror. Free ebook giveaways are better than discounted ebook sales. Whilst this is true for unknown authors like myself, someone like J. K. Rowling would probably benefit more from a discounted ebook giveaway bonanza. When I ran my Kindle Countdown deal with a discount on my novel, I achieved a grand total of 3 downloads. Better than none, obviously, and those people are probably more likely to leave a review. When I ran the free equivalent I got over 500 downloads. Have any of those people read my novel yet? There’s no way to tell. But it got me in the top five of the Arthurian books category for a couple of days at least (side note: Harry Potter is NOT ARTHURIAN!). Try to keep up with your social media appearances. 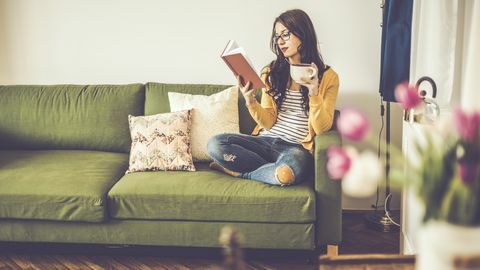 Homely images of your novel next to coffee on Instagram will draw attention, or pen a declaration of how actively you are living the life of a writer. Share something like: New ideas for new scenes today. Writing from the heart, with a picture of you gazing out of a coffeeshop window. I haven’t tried it yet, but I see other people posting such stuff on Instagram and they get more likes than me, so they must be doing something right. Hello, hello. Yes, it has been horribly long since my last blog post or update. I suppose this is the point where I rattle off the relevant excuses – work and life in general – reasons why I have not penned anything much of late. Blog posts are usually low down on my list of priorities and I do admire those authors who manage to fire one off daily (monthly would be an achievement for me). They are important, but when you have your next novel pushing to be written or artwork needing to be produced, it’s difficult to fit them into a routine. So, a quick summary of where I’m at. Logres Volume One: Book Two – still not fully drafted. My children’s book – where it was about 6 months ago. I think it’s safe to say that 2016 was not a good year for me creatively. There was far too much going on and not nearly enough time to focus on the projects I wanted to see finished. Being knocked into the cycle of ‘working to afford somewhere to live close to where you work so you can afford to live somewhere you can work‘ absorbed more recourses than I anticipated, and any free time that I did have left me feeling uninspired and unable to produce anything of any real substance. It’s been over a year since I self-published The Future King: Logres, and though reviews are still trickling in it’s been tough accumulating them. I’ve learned a lot about self-promotion and advertising this year, have been burned by one or two ‘reviewers’ (be weary of the ones who approach you asking for free copies of your work), and understand well why people prefer to have publishers. Had I not had to do all the promotional work myself I’d have had more time for writing. Well, no excuses this year – I’ve done what I can. The reviews will hopefully come in eventually, more (with some luck) once I publish Book Two. This year it is my goal to kick myself past my own goalposts. My new year’s resolutions list is expanding and ever-changing like some organised hydra (scratch one thing off, three more appear), but the core aspect of it is that I need to write, I need to draw and I need to get my next novel properly drafted. It has to be extracted – no ifs, no buts – and it needs to happen sooner rather than later. The first step is to be more transparent about my writing progress, it’s the only way to hold myself to my new goals. It worked the first time round, posting word count updates on Facebook like some race against myself, so I’m hoping it’ll work this time if I update my homepage with daily (being optimistic here) word counts. So you’re aware I’m starting my next draft from scratch, starting on Monday (that’s the 16th), working with what I already have and refreshing myself by reading The Future King: Logres from a new viewpoint. If you’re feeling impatient and think I should be working faster – you’re probably right, but in the meantime you can help by spreading the word about The Future King if you enjoyed it. Then if the reviews keep coming in while I’m writing my next draft, it’ll be at least one thing from my new year’s list that will be taken off my mind. Last day of Free Ebook Giveaway! This is your last chance to get your free Kindle edition of The Future King: Logres! This promotion is available to everyone worldwide and ends midnight tonight (Pacific time). Use the following links to get your free Kindle edition of The Future King: Logres before this offer expires! To use this deal through other Amazon regions, simply make sure the Amazon extension matches your country (e.g. .com or .fr), or search for The Future King: Logres on the relevant Amazon website. Thank you for taking part in this Kindle Countdown Deal and for your help in sharing this offer far and wide. Please feel free to leave a review of The Future King: Logres once you’ve read your free copy! Free Ebook Giveaway! Day four! Day four of my free ebook giveaway is here! Get The Future King: Logres free for five days on Amazon Kindle, expires November 20th! This promotion is available to everyone worldwide and is live for 5 days, running from Wednesday the 16th of November 2016 to Sunday the 20th of November 2016 (midnight Pacific time). Use the following links during the times and dates specified. Do share this giveaway with everyone and anyone you think might be interested, and feel free to leave a review for The Future King: Logres once you’ve read your free copy! Free Ebook Giveaway! Day three! Day three of my free ebook giveaway is here! Free Ebook Giveaway! Day two! Day two of my free ebook giveaway is here! Free Ebook Giveaway! Day one! Get The Future King: Logres free for five days on Amazon Kindle, this November 16th! This promotion is available to everyone worldwide and is live for 5 days, running from Wednesday the 16th of November 2016 (midnight Pacific time) to Sunday the 20th of November 2016 (midnight Pacific time). Goodreads Giveaway – Last Day! The final day of my Goodreads Giveaway is here! Today is your last chance to win a signed paperback edition of The Future King: Logres. All you need is a Goodreads account and to enter on the Goodreads Giveaway page. This raffle is available to the countries listed on the Giveaway page and runs until midnight tonight. Once the Giveaway has ended Goodreads will select a winner at random – who will then receive a signed copy of The Future King: Logres, posted by me! You can find the event page for this giveaway here, where you can invite others to enter. The purpose of this free raffle is to get as many people involved as possible – so don’t forget to share it with your friends! Remember to add The Future King: Logres to your ‘to read’ list as well. I liked the characterisation of the characters in this book, you loved who you were supposed too and hated who you were meant too! It was so fluid and strong in it’s writing style that it’s hard not to love this book. I’m so excited for the second book to come out, and to see what happens next! Set in a dystopian future that you fear could all to easily come to pass, with a well-written and engaging storyline and believable, intriguing characters, this book pulled me in and kept me hooked until beyond the last page. With the hope that M. L. Mackworth-Praed has already started on the next instalment in this series, I strongly recommend that you read it yourself. Week nine of my Goodreads Giveaway is here! Enter for the chance to win a signed copy of The Future King: Logres. All you need to enter this raffle is be a Goodreads account holder, and enter the giveaway via the Goodreads Giveaway page. This raffle is available to the countries listed on the Giveaway page and runs for one week until the 31st of July 2016. Once the Giveaway has ended Goodreads will select a winner at random – who will then receive a signed copy of The Future King: Logres, posted by me! M.L. Mackworth-Praed creates a multi-layered and inventive story, based on the Arthurian legends, through concise and descriptive prose and a unique sensitivity to the elements of successful storytelling. The Future King: Logres is an amazing novel and a great literary achievement. What this book does beautifully is describe and explain the world it is set in without you even realising it. You never have to read through a history or exposition explaining the background; you learn through the conversations, narrative and action of the story about the England that Gwenhwyfar and her friends and family live in. This is your last week to enter, so good luck! Week seven of my Goodreads Giveaway is here! Enter for the chance to win a signed copy of The Future King: Logres. All you need to enter this raffle is be a Goodreads account holder, and enter the giveaway via the Goodreads Giveaway page. This raffle is available to the countries listed on the Giveaway page and runs for three weeks until the 31st of July 2016. Once the Giveaway has ended Goodreads will select a winner at random – who will then receive a signed copy of The Future King: Logres, posted by me! Week six of my Goodreads Giveaway is here! Enter for the chance to win a signed copy of The Future King: Logres. All you need to enter this raffle is be a Goodreads account holder, and enter the giveaway via the Goodreads Giveaway page. This raffle is available to the countries listed on the Giveaway page and runs for four weeks until the 31st of July 2016. Once the Giveaway has ended Goodreads will select a winner at random – who will then receive a signed copy of The Future King: Logres, posted by me! Overall it was a weekend well spent, I’d recommend the book to anyone who enjoys YA novels, Orwellian stories, or the legend of King Arthur. In fact, my son is reading it now. I can’t wait for the next installment! Week five of my Goodreads Giveaway is here! Enter for the chance to win a signed copy of The Future King: Logres. All you need to enter this raffle is be a Goodreads account holder, and enter the giveaway via the Goodreads Giveaway page. This raffle is available to the countries listed on the Giveaway page and runs for five weeks until the 31st of July 2016. Once the Giveaway has ended Goodreads will select a winner at random – who will then receive a signed copy of The Future King: Logres, posted by me! Week four of my Goodreads Giveaway is here! Enter for the chance to win a signed copy of The Future King: Logres. All you need to enter this raffle is be a Goodreads account holder, and enter the giveaway via the Goodreads Giveaway page. This raffle is available to the countries listed on the Giveaway page and runs for six weeks until the 31st of July 2016. Once the Giveaway has ended Goodreads will select a winner at random – who will then receive a signed copy of The Future King: Logres, posted by me! An outstanding work of dystopian fiction, The Future King: Logres centers around Gwenhwyfar, a high school student who seeks a right path as her world grows increasingly dangerous. Set in mid-21st century England, Gwen and her friends must navigate a turbulent and mysterious political scene, oppressive school conditions, and the intricate landscape of their personal lives to survive and hopefully fulfill their destinies. Brilliant in-depth questions by Read Watch And Think. Very pleased to have taken part in this interview conducted by the lovely Merril Anil! Check it out! Week three of my Goodreads Giveaway is here! Enter for the chance to win a signed copy of The Future King: Logres. All you need to enter this raffle is be a Goodreads account holder, and enter the giveaway via the Goodreads Giveaway page. This raffle is available to the countries listed on the Giveaway page and runs for seven weeks until the 31st of July 2016. Once the Giveaway has ended Goodreads will select a winner at random – who will then receive a signed copy of The Future King: Logres, posted by me! Week two of my Goodreads Giveaway is here! Enter for the chance to win a signed copy of The Future King: Logres. All you need to enter this raffle is be a Goodreads account holder, and enter the giveaway via the Goodreads Giveaway page. This raffle is available to the countries listed on the Giveaway page and runs for eight weeks until the 31st of July 2016. Once the Giveaway has ended Goodreads will select a winner at random – who will then receive a signed copy of The Future King: Logres, posted by me! The grand opening of my second Goodreads Giveaway is here! Today marks the first day when you can enter for the chance to win a signed copy of The Future King: Logres. All you need to enter this raffle is be a Goodreads account holder, and enter the giveaway via the Goodreads Giveaway page. This raffle is available to the countries listed on the Giveaway page and runs for two months until the 31st of July 2016. Once the Giveaway has ended Goodreads will select a winner at random – who will then receive a signed copy of The Future King: Logres, posted by me! Last chance: TFK Logres for £1.99/$2.99! LAST CHANCE to pick up your discounted copy of The Future King: Logres on Kindle. Until 11pm today you can get The Future King: Logres on Kindle for £1.99 and $2.99 on Amazon UK and Amazon US. To take advantage of this deal just purchase the Kindle edition of The Future King: Logres from either site while the discount is valid! This deal finishes at 11pm tonight. Hurry before it ends! Thought you’d missed the spring bank holiday weekend deal? Think again! From 8am today you can still pick up your Kindle edition of The Future King: Logres for £1.99 and $2.99 on Amazon UK and Amazon US. To take advantage of this deal just purchase the Kindle edition of The Future King: Logres from either site while the discount is valid! This deal is currently live and finishes at 11pm on the 30th of May. Hurry while it lasts! You still have until 8am tomorrow morning to pick up The Future King Logres for 99p and 99c on Amazon UK and Amazon US. To take advantage of this deal just purchase the Kindle edition of The Future King: Logres from either site while the discount is valid! This deal is currently live and finishes at 8am on the 29th of May. Hurry while the offer lasts! Kindle Countdown deal starts from 5pm tomorrow with The Future King: Logres available for 99p/99c. Kindle Countdown deal coming soon. So things have been busy lately. Not busy in the sense that I’ve got mountains of work done, am now half way through to publishing book two (or indeed that children’s book I was working on), but busy in the sense that real life has got in the way. New job, new home, and a new schedule that so far has left little time for anything else other than working and sitting in the sofa each evening, thinking about how much you should be doing with your evening time versus how little you are actually doing (LOTRO, I blame you). That said, I have managed to get a couple of things done and will get back into the swing of working on projects evening and weekends soon enough. I’ve just organised another Goodreads Giveaway for the months of June and July and, feeling festive, have sorted out a Kindle Countdown Deal for the Spring Bank Holiday. Ironically in order to do this I’ve been shut inside fiddling with graphics and promotional material rather than actually sitting outside enjoying said spring weather, but so far I’m pleased with what I have planned. The phrases I’ve used to make the promotional posters come from the pages of my novel itself; lifted straight off of the New National propaganda posters that Arthur walks past on a regular basis. These posters will be released randomly in the run up to the Goodreads Giveaway I’ve organised, hopefully to rally up some excitement, so watch this space. In the meantime I’m hoping to break through book two syndrome, you know – something halfway between blank page syndrome and where the hell do I start syndrome. Don’t panic if you were expecting me to have already drafted book two by now – it’s all there, ready to go and planned on paper – I just want to start it right. Except then I remembered that book two isn’t book two at all. I don’t need to worry about starting a new novel – it’s a series. And more specifically the second instalment of the series was always intended to be the second half of Logres, married entirely to Volume One. In fact, they’re not even separate: they should be the same book, just divided into two publications. Suddenly I don’t have to worry about new novel syndrome. Now I can just pick up where I left off – start a new chapter – without worrying about the final finished polished package. Meanwhile I’ll keep working working, will adapt to my new routine and continue to anxiously await reviews from my read-to-reviewers, the people who are offering an honest review in exchange for a free copy of my novel. Yes, I now know I should have organised all of this before my release date way back in December last year, but I’m new at this book-writing book-promotion thing, and really I’m learning as I go along. With many thanks to Mlpmom (blogger, reviewer, and all-round nice person), I present to you my very first guest post: 14 things… The Future King: Logres, as hosted on Mlpmom’s amazing blog, My Guilty Obession! I’m excited to bring you a very special guest post from new author M.L. Mackworth-Praed and her fantasy book, The Future King Logres. This looks like it is such a fun and interesting read and I can’t wait to get my hands on it. Thank you so much Meredith for being here today! Please do take a moment to visit My Guilty Obession to see what I’ve been up to. In my post I offer insight into what led me to the Arthurian Legends, how my characters first emerged and 14 things I learned whilst writing my debut novel. So check it out! The Future King Logres is available to buy on Amazon! Last Day – TFK Logres Goodreads Giveaway! The final day of my Goodreads Giveaway is here! Today is your last chance to win one of five signed paperback editions of The Future King: Logres. All you need is a Goodreads account and to enter on the Goodreads Giveaway page. This raffle is available to everyone and runs until the 2nd of March 2016. Once the Giveaway has ended Goodreads will select five winners at random – who will then receive signed copies of The Future King: Logres, posted by me! You can find the event page for this giveaway here, where you can invite others to enter. Again, the purpose of this free raffle is to get as many people involved as possible – so don’t forget to share it with your Goodreads friends and remember to add The Future King: Logres to your ‘to read’ shelf as well! The fifth week of my Goodreads Giveaway is here! You still have two days to win one of five signed paperback editions of The Future King: Logres. All you need is a Goodreads account and to enter on the Goodreads Giveaway page. This raffle is available to everyone and runs until the 2nd of March 2016. Once the Giveaway has ended Goodreads will select five winners at random – who will then receive signed copies of The Future King: Logres, posted by me! You can find the event page for this giveaway here, where you can invite others to enter. Again, the purpose of this free raffle is to get as many people involved as possible – so don’t forget to share it with your Goodreads friends and remember to add The Future King: Logres to your ‘to read’ shelf! Week Four – TFK Logres Goodreads Giveaway! Week four of my Goodreads Giveaway is here! You still have one week and two days to win one of five signed paperback editions of The Future King: Logres. All you need is a Goodreads account and to enter on the Goodreads Giveaway page. This raffle is available to everyone and runs until the 2nd of March 2016. Once the Giveaway has ended Goodreads will select five winners at random – who will then receive signed copies of The Future King: Logres, posted by me! The third week of my Goodreads Giveaway is here! You still have two weeks and two days to win one of five signed paperback editions of The Future King: Logres. All you need is a Goodreads account and to enter on the Goodreads Giveaway page. This raffle is available to everyone and runs until the 2nd of March 2016. Once the Giveaway has ended Goodreads will select five winners at random – who will then receive signed copies of The Future King: Logres, posted by me! You can find the event page for this giveaway here, where you can invite others to enter. Again, the purpose of this free raffle is to get as many people involved as possible – so don’t forget to share it with your Goodreads friends! Don’t forget to add The Future King: Logres to your ‘to read’ shelf either. The grand opening of my Goodreads Giveaway is here! Today marks the first day when you can enter for the chance to win one of five signed paperback editions of The Future King: Logres. All you need to enter this raffle is be a Goodreads account holder, and enter the giveaway via the Goodreads Giveaway page. This raffle is available to everyone and runs for one month until the 2nd of March 2016. Once the Giveaway has ended Goodreads will select five winners at random – who will then receive signed copies of The Future King: Logres, posted by me! The books are ordered, all five of them, ready for the giveaway and ready for me to sign. I’m still coming to terms with scribbling in books (I was always taught that defacing a book was hugely immoral), but I suppose that scrawling one’s John Hancock doesn’t really count. Then again, my ‘actual’ signature really can’t be counted as anything other than an irregular, scribbled mess. Not so for my ‘author’ signature though – you know, the one you put in books – because I have been practicing on several scraps of paper to get something different than what I might scribble in a chequebook. Not that I expect anyone to forge said signature if I do include it in the leaves of my own book, but I’m sure that I once read somewhere that having an ‘artist’s’ signature is the thing to do. What with my free trial of Amazon Prime, the books should all arrive via courier tomorrow; though I have experienced a certain amount of guilt as a result. It seems a tall task to print five copies of my novel, pack them up and then drive them over to their delivery destination in what is effectively 24 hours. I’m fairly certain that I’m not yet making enough sales for The Future King: Logres to be on the ‘print-and-stock-it-just-in-case’ list, so they’re probably being run off the printing press as we speak. With the novelty of being a published author still relatively new, I must admit that I am looking forward to handling so many copies of my ‘brain-baby’ at once. In other news, I’m awaiting the moment when it’s appropriate to start spreading the word about my signed copy Giveaway on Goodreads (this will be a fairly labour-intensive task, I assure you), and have been struggling through writing the opening of book two (well, technically Volume One: Book Two, as Logres will be published as two instalments). It’s proving a challenge to get right. I think I’m going to have to accept that after all the polishing I did in the editing process of Book One, I can’t expect the prose for Book Two to be immediately as ‘perfect’. It seems I’m going to have to force myself to take my own advice, which is along the lines of, write and don’t stop. No looking back, no thinking it could be better, you can do all that later in your months of editing (which will inevitably take months) – just go for it, ignore that niggling in your head that it’s not quite there yet – ignore, ignore, ignore – until you get your groove back, get back into the flow of things, finish the story – only then can you go back and rewrite the whole not-quite-good-enough book (thrice, probably). That said, it is natural to want to get the first few scenes absolutely right from the beginning so that you’re setting off at the right tone and pace. It’s exciting to be starting from scratch (despite the blank-page syndrome! ), but writer’s block is still trying to unsettle me, and to top it all off a recent move means that I no longer have my old writing desk (everything is now done on the edge of a very cluttered dining room table). But don’t despair, if you have read Logres: Book One and are looking for an indication of when Book Two will be on the proverbial shelves: the answer is soon, hopefully either the end of 2016 or near the start of 2017. To avoid the risk of getting myself into a George R. R. Martin-book 6-type scenario, I’m not going to promise too much too soon; but do keep checking back for progress, which I assure you I will undoubtedly post (probably in the form of word-count updates) as regularly as it’s worth. In the meantime keep sharing The Future King: Logres, Volume One: Book One with anyone you feel might enjoy it, rate and review it on Amazon and Goodreads, enter my free signed copy giveaway on the 1st of Feb, and have a good, creatively embellished week. I will probably be sat at this dining table writing, then rewriting, and tapping out notes for The Future King: Logres, Volume One: Book Two. So it’s over! My five day giveaway has come to an end, and downloading has gone quite well. Well enough for The Future King: Logres to shift up a spot and make it to number five in the free Arthurian charts on Amazon (see below)! Now that it’s no longer available for free, it’s been removed from the charts temporarily, and will probably be slotted back in much lower down until the paid sales start to trickle in. Giving away your work for free isn’t something that is instinctive, and given the amount of work and time that goes into producing a self-published book it is compelling to have readers actually buy your book, especially after launch. You’ve got to earn back all those hours spent working for nothing but the love of your craft somehow. However, the reality is that a reader is more likely to give less for the work of a complete unknown than someone with an established track record, so despite any reservations I had it suddenly seemed instinctive to take the plunge and give my ebook away for free. The whole five day thing worked out well (Amazon allows you to supply your ebook for free for a maximum of 5 days out of every 90 days), as it gave me time to build up momentum and get word around. Despite my modest social media following I managed to top 260 downloads, which quite honestly is many more than I was expecting. If you’re in the same boat as me and you’re considering promoting your book (particularly if you’re about to or have just released it), then I would definitely recommend offering it for free for a short period. Obviously I’ve yet to see what number of reviews my giveaway will ultimately produce, but the more people who read an unknown book (and hopefully like it) the better – it should result in increased circulation and future sales. Prepare some eye-catching graphics that you can present across all your social media channels, a new one each day with a similar look and feel – sort of an e-flyer. If you have WordPress or a Facebook page, spend an afternoon preparing all your promo material and schedule your posts in advance – they’ll appear when you want them to and will give you more time on the day itself for actual book promotion. Ask your friends and family to reblog/share your posts to their friend networks – the more eyes that see your free ebook giveaway the better. Make use of the Goodreads website (or equivalent). I’ve only recently joined Goodreads myself, but there are thousands of members on there who are all looking for their next read – and they all appreciate a free book! Spend time posting in forums to build up your contacts, but more specifically look for groups that have specific threads where you’re encouraged to post news of your new book or free giveaway – I did this and it really helped circulate my ebook and gave me a boost on downloads. If you are on Goodreads you can create an event on your author page (good idea to set one up – just add your self-published book to the site, then declare that you are the author through your regular account – Goodreads will merge your account with your author account for you) and invite your friends. Send out as many invitations as you can, because the people you invite can also invite others to attend the event, maximising exposure. Don’t let things rest for too long. If you’re running your promo for multiple days, advertise, share and keep posting on every single one of those days. Don’t have a day off. Eventually your deal will get noticed by people outside of your regular friend sphere, and someone might be kind enough to share it. Make your offer very clear with exact start and end times, along with instructions on how use the offer. I found that a lot of people were having problems with the Amazon extensions. I was supplying a UK link, which meant that US or French customers couldn’t get the book for free because they were trying to make a purchase through the UK link. In the end I linked to those regions as well and detailed how to find the book when using a different Amazon site (you just change the site extension to your relevant region – e.g. .fr or .com). Now that the free ebook promotion is over, I’m going to take a short break to a) apply to jobs, and b) continue with my other projects. Book promotion will have to be ongoing, but part of it is now a waiting game to see how those 260+ readers will take to TFK Logres and what sort of reviews they will leave (assuming everyone reads it!). I am hoping of course that they will love it enough to share it, but time will tell, so in the meantime I shall keep my head down and perhaps get back into writing book 2 instead. Now to end with some more promotion as per my own advice. Though the 5 day deal has ended subscribers of Kindle Unlimited can still pick up TFK Logres for free, whilst it is now also listed at its regular price of £3.99. Still a steal for a 517 page book, no? LAST CHANCE – FREE EBOOK! DAY FIVE, the final day of the free ebook deal is here! Today is your last chance to get The Future King: Logres on ebook for completely free. Take advantage of this offer before it ends by sharing it with anyone who might be interested in reading Logres, the first instalment in The Future King series. To claim your free ebook just click here. This deal is only available until Midnight Pacific Time tonight, so this is your last chance to spread the word about this giveaway! You can read this ebook without a Kindle, just download the Kindle reader from Amazon. Reviews and ratings through Amazon or Goodreads are still welcomed and definitely encouraged. Thank you to everyone who has already taken part in this deal for your interest and support. Have a great 2016, happy reading and enjoy your new ebook! Day four – TFK FREE ebook! The deal is nearly over! Day four of five where The Future King: Logres is available for free on ebook. Yep! A whole book for free! So if you’re hankering for a new read, feel like embarking upon a whole new series to be, then click here and enjoy. This deal is available through Amazon until tomorrow, so last chance to tell your friends and relations and share the goodness of this giveaway! You can even read this ebook without a Kindle, just download the Kindle reader from Amazon. Reviews and ratings through Amazon or Goodreads are of course welcome and encouraged. Happy reading and enjoy your week! Day three – TFK FREE ebook! Day three of my five-day book giveaway is here! Once again The Future King: Logres is available free on ebook. Free! So if you’re searching for a new read for 2016, are a YA fantasy and dystopian fan or are keen on the Arthurian legends, then click here. This deal is available through Amazon until the 6th of January, so tell everyone and share the goodness of this giveaway! Reviews and ratings through Amazon or Goodreads are welcomed, so click on the link, find somewhere to relax, have a read of The Future King: Logres and share your thoughts! A self-publisher trying out self-promotion. So it’s going well! This whole “promote your own book” thing. After realising that as an unknown I was going to have to do some serious book promotion once my Kindle was out (that list I made is now redundant, with Dreamweaver everything became so clear), it was apparent that some sort of deal had to be offered – and when you’re doing a deal to get your book distributed as widely as possible, why bother with Amazon’s 0.99 cent approach? May as well go all the way, and offer it for the maximum amount of time at the maximum discount, five days, absolutely free. With a reasonable amount of downloads amassing, I have entered the Amazon Best Seller Kindle charts. The most notable being in the Best Sellers list in Arthurian Fantasy – no.6 out of 100, evidence of which can be seen below! This is of course terribly exciting, and now I am waiting with baited breath to see if my debut novel will crawl any higher. The Future King: Logres is also in the top 100 Free Contemporary Best Seller chart, but is still a long way off being in the overall top 100 best selling (free) list on Amazon. My main excitement however comes from knowing that my book is now available to many people and will soon be read by them, which hopefully means that a few more reviews start to surface. Hopefully this will help other readers find the first instalment in The Future King series! In the meantime if you haven’t yet taken advantage of this free deal, do so here: Amazon UK, Amazon US & Amazon FR. This offer is available worldwide!